Enkaustikos Wax Snaps Encaustic Paints have the same formula as Enkaustikos Hot Cakes in a versatile, easy-to-use shape. Just snap off what you need and use at full strength for direct painting, drawing, printmaking, and more! Color Swatches created using varied application and were applied on primed hardboard material. 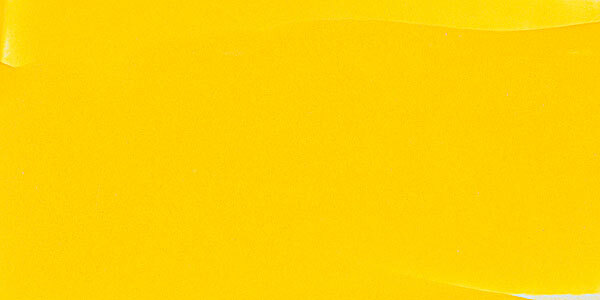 Cadmium Yellow is brilliant, dense, and opaque, with good tinting strength and very high hiding power. It is the artist’s principal bright yellow and is available in light, medium, and dark shades. The deeper shades appear deep orange and have the greatest tinting strength. It is slow-drying in oil form and is used in both oil and watercolor form. It cannot be mixed with copper-based pigments. A clean Cadmium Orange is created when Cadmium Yellow is mixed with Cadmium Red. Hues vary by brand. Cadmium pigments have been partially replaced by azo pigments, which are similar in lightfastness to the cadmium colors, cheaper, and non-toxic. 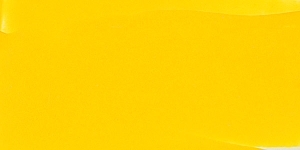 Cadmium Yellow is usually available in a pure grade, or in a cadmium-barium mix. This mix has the same permanence with a lower tinting strength. Cadmium Yellow is lightfast and permanent in most forms, but like most cadmium colors, it will fade in fresco or mural painting. The deeper shades are the most permanent. The pale varieties have been known to fade with exposure to sunlight in conditions where moisture is able to penetrate the binder. Cadmium Yellow is a known human carcinogen. It can be hazardous if chronically inhaled or ingested. Cadmiums get their names from the Latin word cadmia meaning zinc ore calamine , and the Greek word kadmeia , meaning Cadmean earth , first found near Thebes, the city founded by the Phoenician prince Cadmus. Metallic cadmium was discovered in 1817 by Friedrich Strohmeyer. Oil colors were first made from Cadmium Yellow pigments in 1819, replacing toxic Chrome (lead) Yellows. However, their production was delayed until 1840 due to the scarcity of cadmium metals. Landscape painters, such as Claude Monet, preferred Cadmium Yellow to the less expensive Chrome Yellow because of its higher chroma and greater purity of color. Aurora Yellow, Cadmium Primrose Yellow, Cadmium Zinc Yellow, Lemon Yellow, Primrose Yellow. Deep Cadmium Yellow is sometimes called Orient Yellow. ® Enkaustikos is a registered trademark.® Wax Snaps is a registered trademark.